Creating a wiring diagram of the human brain's neurons is an oft-discussed idea that remains in the realms of science fiction. Scale that problem down to tackling a mouse brain, however, and you're in the realms of what science can just about manage—with your help. In fact, that's exactly what a team of scientists from Cold Spring Harbor Laboratory in Long Island, NY, is doing. Creating a circuit diagram of the human brain, you see, would almost certainly transform our understanding of who we are: it should lay bare the biological codes behind our personalities, memories, skills and susceptibilities. 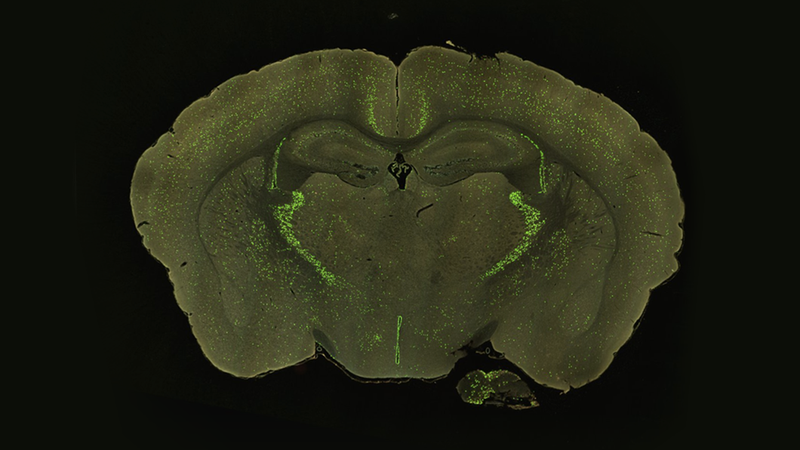 Mapping the neurons of the mouse brain is a realistic stepping stone towards that achievement—but the researchers still have their work cut out. To create images accurate enough to trace out a circuit diagram of the neurons in a brain, the researchers have to inject a series of chemical tracers into the brain and then cut it into incredibly thin slices. They then use extremely high-zoom light microscopes to acquire incredibly detailed images of each brain slice. A picture typically contains a billion pixels—that's an image over 30,000 pixels square—and, in total, a full set of images for a single brain provides 1TB of data. Unfortuantely, that's the easy part. They have so much data they almost don't know what to do with it all, so they're opening it up for use by the wider scientific community—and even the public. So far, they've uploaded a massive 500TB of images to their project's website, and more data is being added every week. "Mouse brains show individual variation, so building up a statistical description of the variations will require many repeats. Since no one has ever tried doing this, we don't know how many repeats we will need."